Saint Anthony Hospital has been awarded for its commitment to patient safety and quality with the Illinois Health and Hospital Association (IHA) Innovation Challenge: Partners in Progress Award from IHA’s Institute for Innovations in Care and Quality. The hospital’s award-winning quality improvement project contributed to a 90-percent decrease in hospital-acquired infection rates in patients and an estimated cost savings of almost half a million dollars. The hospital’s innovative model was reviewed by an expert panel of statewide and nationally recognized health care quality judges who noted the significant improvement and impact on reducing patient harm with the implementation of this best practice model. The hospital is one of only three award recipients this year. 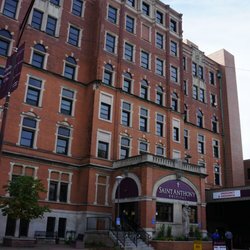 This quality innovation project is just one of the many ways Saint Anthony is working to improve processes and enhance care for patients. Recently, this commitment was recognized by the Illinois Performance Excellence (ILPEx) Recognition Program with Saint Anthony Hospital being awarded its second consecutive Bronze Award for Commitment to Excellence, as well as becoming the first hospital in Illinois awarded the Perinatal Care Certification by The Joint Commission.